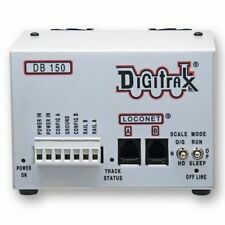 DIGIKEIJS DR4018 16 CHANNEL SWITCH DECODER - WORKS WITH ALL DCC BRANDS! Tsunami2 is SoundTraxx’ new line of high-performance Digital Sound Decoders. In 1996, SoundTraxx first introduced Dynamic Digital Exhaust to modelers. Now, we’ve taken this cool feature to new levels of prototypical realism. SDH166D fits many HO locomotives. SDH166D replaces SDH164D. Digitrax SoundFX. Downloadable Sound with Digitrax PR3 and SoundLoader 2.0 software. Digitrax FX. Digitrax LocoMotion. Digitrax “No Worries” Warranty. Cab Saver for NCE Cab06P & Cab04P standard & radio throttles - CVP EasyDCC too! The Cab Saver is a simple solution to eliminate rocking of the throttle knob on NCE Cab06P, Cab06PR, and Cab04P, Cab04PR throttles. If you have a Cab04 or Cab06 with an encoder, you will need to modify your Cab Saver to fit. MAGNETIC LOCKON. 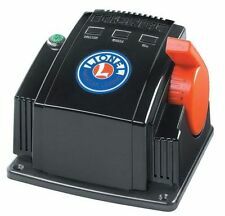 The magnetic lockon provides a secure and efficient power transfer directly to the rail with no physical connection at all. The lockon remains cold to the touch and transfers 100% of applied power directly to the rail. We are an authorized NCE dealer. Clear, easy-to-read display, select up to 6 loco recalls, F0-F28, select accessory, select macro. This is a non radio cab only. Soundtraxx Tsunami2 TSU-1100 Digital Digital Sound Decoder. 1amp EMD Diesel Engines Item #885001. Function Current: 100mA (each output) Function Outputs: 4. Motor Stall Current: 1A. 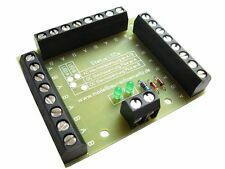 #882004 ECO-PNP DIESEL SOUND DECODER - Atlas style board. Econami Features. The Diesel Econami features over 90 sound effects, including SOUNDTRAXX -We are an authorized SOUNDTRAXX Dealer! This 2-amp, universal-style digital sound decoder is suitable for a wide variety of models from HO to S scale. ESU Version 4.0 with Generic sound ready for programming with 8 pin plug. Model MC2H1040P Item #852003. This decoder will operate in both DC and DCC. 4-function decoder that. ESU LokSound. We are an Authorized ESU LokSound Dealer. Therefore it may be connected even during programming. With its energy storage (1 Farad capacity) the unit supplies power to all light and motor functions as well as to the sound module. For purchase is a NCE Corporation Power Cab - USED in working condition. This controller comes with the cable you see in the pictures. 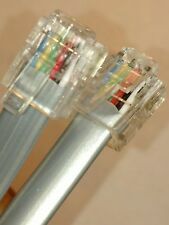 The cable has one of the little plastic locking pins broken on one end but should still work if connected and left still. Shipping to lower 49 states is $9.90. Hi and Ak is extra. 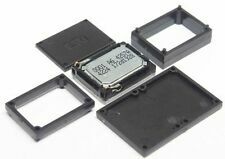 #465 KAT24 T4 Decoder with built-in Keep Alive. TCS requires all warranty claims be sent directly to TCS __________________________________________________________________. This decoder is compatible with any locomotive which uses the JST-9 interface. This motherboard is designed to replace the original lighting board in Athearn Ready To Roll diesel locomotives. Pair with a WOW121 or an ESU 21 Pin for unparalleled sound and interruption-free performance. 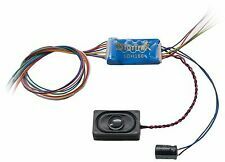 #885014 TSU-PNP DIESEL SOUND DECODER - Version 1.2. SOUNDTRAXX - We are an authorized SOUNDTRAXX Dealer! GE DIESEL Locomotives. Diesel Features. Motor Stall Current: 2A. First ever Fireman Ed is ready to work on the locomotive, with general service, cab sounds and more! #885015 TSU-PNP DIESEL SOUND DECODER - NEW Version 1.2 (see pics for info). SOUNDTRAXX - We are an authorized SOUNDTRAXX Dealer! ALCO DIESELS. "Atlas" Style Board - Replaces the old Tsunami AT-1000,GN-1000, IM-1000 and other similar board styles. 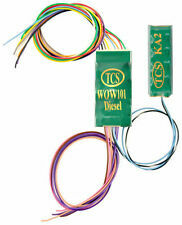 The WOW101 is a universal decoder for locomotives with DCC-ready 9-pin plugs, or which cannot accommodate a motherboard or WOWKit. This decoder may be hard-wired or plugged directly into any locomotive with a 9-pin JST plug. Soundtraxx Tsunami2 TSU-1100 Digital Digital Sound Decoder. 1amp Steam-2 Engines Item #884006. This micro 1-amp, universal-style format is ideal for small models with minimal space. 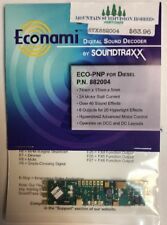 #882006 ECO-21P DIESEL SOUND DECODER - 21 NEM Pin board. Econami Features. The Diesel Econami features over 90 sound effects, including SOUNDTRAXX -We are an authorized SOUNDTRAXX Dealer! This 1-amp digital sound decoder simply plugs into models equipped with an NEM-supported 21-pin socket. NCE DCC DA-SR 4pk Decoders. NCE DA-SR pk/4 Decoders. New price due to NCE's 20% price increase September 2018. The complete line of NCE DCC is available. Kato GP35, SD40, C44-9W Stewart AS16, F3A, F3B, F7A, F7B, F9A, F9B, U25B. NCE DCC - North Coast Engineering. Direct plug in to Athearn GP60M, Athearn 2-8-2 and other locos equipped with NMRA 9 pin DCC “Quick Plug”. All four function outputs have lighting effects generators. SoundTraxx Tsunami 2 TSU-2200 EMD Diesel Sounds 885005. Tsunami2 is SoundTraxx’ new line of high-performance Digital Sound Decoders. In 1996, SoundTraxx first introduced Dynamic Digital Exhaust to modelers. 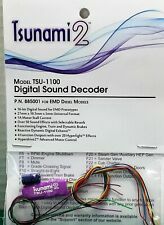 SoundTraxx Tsunami 2 TSU-PNP ~ EMD - 2 ~ Diesel Sound Decoder 885024. Tsunami2 is SoundTraxx’ new line of high-performance Digital Sound Decoders. In 1996, SoundTraxx first introduced Dynamic Digital Exhaust to modelers. K1D4 for KATO & Athearn Engines. Item #1293. The K1D4 is a 4-function N-scale drop-in decoder designed for Kato and Athearn locomotives. Also Fits Athearn F45 and Many other Locomotives. Quiet Drive for super quiet engine performance. The WOW101 is a universal sound decoder for locomotives with DCC-ready 9-pin plugs, or which cannot accommodate a motherboard or WOWKit. This decoder may be hard-wired or plugged directly into any locomotive with a 9-pin JST plug. SSD001 SINGLET W/SERVO. The singlet is a simple servo decoder designed to drive turnouts. TAM VALLEY DEPOT. #1668 KA4 - Keep Alive. You know where you live, we don't! We will assist you in the warranty process if needed. It's your choice! Soundtraxx Tsunami2 TSU-PNP Digital Digital Sound Decoder. 2amp EMD Diesel Engines Item #885013. Function Current: 100mA (each output) Function Outputs: 6. Motor Stall Current: 2A. #1029 AMD4 DCC Decoder for many ATLAS N Locomotives. Included is TCS auto-adjusting BEMF for outstanding slow speed performance and hassle free set up. This full featured 4 function BEMF decoder is designed for the following Atlas N Scale engines. 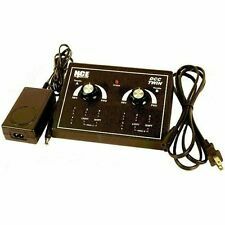 #882102 ECO-200 UK United Kingdom DIESEL SOUND DECODER. SOUNDTRAXX - We are an authorized SOUNDTRAXX Dealer! Over 40 Sound Effects. 1A Motor Stall Current. 4 Outputs for 20 Hyperlight Effects. It's your choice! Works with the Switch-8 Mk2 only - Three wires from the Button Board to the Mk2 - That's it - Simple! NCE 151 Switch-8 Mk2 Decoder. Full Line NCE available! You know where you live, we don't! It's your choice! 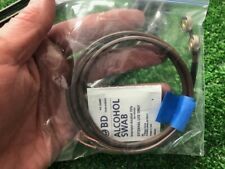 #885024 TSU-PNP DIESEL SOUND DECODER. SOUNDTRAXX -We are an authorized SOUNDTRAXX Dealer! This decoder gives you a jaw-dropping 42.4 Million sound combinations to choose from to match your model and your preferences!". High Performance Plug n' Play Sound Decoder from a Trusted Authorized Dealer. Works With Most Athearn Genesis & Ready To Roll. 74 x 17 x 5mm - Max. Motor Stall Current: 2A - 6 Function - 50 sound effects. Operates HO & N Scale DC Trains. Soundtraxx Tsunami 2 Digital Sound Decoder for use in the following GE Diesel Locos Feel free to ask us which decoder would be best and you can also consult the Soundtraxx Decoder Selector. Tsunami2 is SoundTraxx’ new line of high-performance Digital Sound Decoders. Fits the Circuitron Tortoise Switch machine. NO more sliding back and forth on the tortoise connections like other connectors, like the BLUE ones. Tortoise switch machine is. We found these fit PERFECT and DO NOT SLIDE. 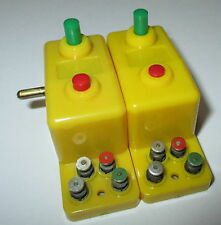 The K0D8 is a N-scale drop-in decoder for Kato locomotives. Examples include the following K0D8-A for KATO Item #1332. Auto-adjusting BEMF for outstanding slow speed performance and hassle free setup. Fits the Circuitron Tortoise Switch machine PERFECTLY. NO more sliding back and forth on the tortoise connections like other connectors, like the BLUE ones. Tortoise switch machine is. We found these fit PERFECT and DO NOT SLIDE. MRC x The Universal Throttle Pocket™ 2, #40020, fits the MRC Prodigy Advance. The older 40016 does not. Compatibility Chart provided by New Rail Models. As a result, you may need to put a shim (such as washers) behind the Throttle Pockets when you mount them in order to have the CVP throttles fit. DCC Solid State Auto Reverser-Circuit Breaker w/integrated (Stall Motor) Stationary Decoder. DCC Specialties. switch machines is when the polarity is reversed. Auto Stop with CV Reset: A photocell can detect a train in the reverse section and turn off power. DCS52 All-In-One Throttle/Command Station/Booster to run your layout. Digitrax Decoder Manual. ALL locos can be consisted, even analog locos. 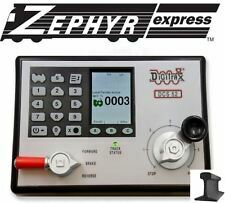 Use Zephyr Xtra as a starting point for your Digitrax LocoNet System, then add components. Circuitron Tortoise Switch Machines. Tortoise Switch Machines 6 PK. Need Edge Connectors to simplify wiring?. Prototype turnouts don't snap open and closed, they move slowly. This easy-to-mount switch machine features prototypical slow-motion action-three seconds to complete throw. 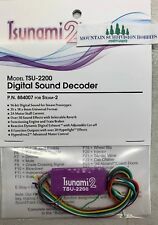 TCS WOWSound WOW121 Steam 1525 21 Pin DCC Sound Decoder Version 4 ~ New!! 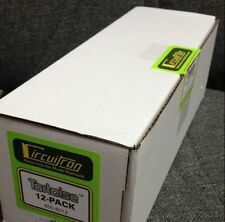 The WOW121 is a universal sound decoder for locomotives with DCC-ready 21-pin MTC connectors, and can also be used with any of TCS' motherboards. The WOW121 requires a motherboard to interface with the locomotive.